Did you know that the cost of natural gas used in the manufacturing sector has actually been falling? According to a report released by the U.S. Energy Information Administration, an increase of resources led to a rapid rise in natural gas production starting in 2007. Between 2006 and 2010, manufacturers paid an average of 36% less for natural gas, according to a 2010 MECS report. Since that survey was conducted, natural gas prices have fallen even further. Specifically in Vermont, the commercial price of natural gas has been falling in recent years. Compared to $12.96 per thousand cubic feet in 2009, commercial natural gas prices for Vermont were $9.22 per thousand cubic feet in 2014. Even more good news—despite the drop in natural gas prices, Vermont manufacturers are still working to reduce their energy consumption! One of the most effective ways businesses are reducing their natural gas consumption is by upgrading their equipment. Upgrades to more energy-efficient boilers, furnaces, heat exchangers, and more is a great way to save energy while impacting your bottom line. Besides the monthly savings on utility costs, many gas-related equipment upgrades also qualify for a Vermont Gas rebate. But there is one rebate that many manufacturers are missing out on, and that’s the custom rebate from Vermont Gas. If you’re completing an energy efficiency project in your facility that will impact the amount of natural gas you will consume, Vermont Gas may be able to offer you a financial incentive, even if the project isn’t explicitly listed on their website. One of the easiest ways to take advantage of Vermont Gas’s custom rebate program is by completing an insulation energy audit for your facility. A certified insulation contractor inspects your mechanical systems and provides a projection of potential energy savings with the addition or upgrade of mechanical insulation. Vermont Gas then assesses your opportunities for financial incentives based on the calculated natural gas savings. It’s a win-win for Vermont Gas and their customers! Manufacturing facilities can benefit significantly from efficiency upgrades, and Vermont Gas can help them take advantage of those upgrades with rebates and incentives. 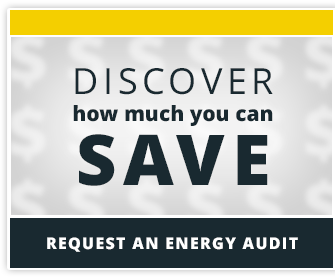 Start today with an insulation energy appraisal.